Pompton Lakes NJ designers, homeowners, contractors, builders, and everyone who want to make their kitchen space more beautiful and more functional now have a nearby kitchen cabinet showroom with affordable prices. Aqua Kitchen and Bath Design Center is your go-to place when remodeling your kitchen and looking for high-quality kitchen cabinets and countertops at a low price. Conveniently located close to Pompton Lakes NJ, we provide Kitchen Countertop and Kitchen Cabinet Deals that you won’t be able to say no to. Visit us in Wayne NJ. 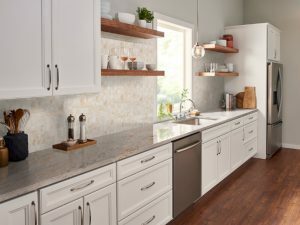 Browse our kitchen cabinet and countertop showroom located at 1107 Rt 23 South and find Prime Quality and Best Prices on only 13 minutes drive from Pompton Lakes NJ. Get your dream kitchen easily and at a great price, today. Choose Aqua Kitchen and Bath Design Center in Wayne NJ because we provide the lowest prices on kitchen cabinets for Pompton Lakes NJ homeowners, designers, contractors, and builders. Don’t pay more than you have to. We guarantee the lowest price! Bring us a written estimate and we will always beat our competition kitchen cabinet price by 10%. Not only that we provide the lowest prices, we support your plans and choices with our expertise, wide and exquisite product selection, and unparalleled customer service. We have the expertise, high-class products, and low prices – you have a vision. Making your dream come true is our priority! Please check what homeowners, designers, builders, and contractors from NJ say about us on Google, Facebook, Yelp, and Houzz below. We are proud of the feedback and reviews we get from our satisfied customers every day. 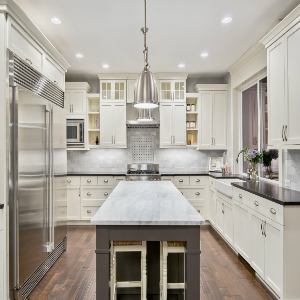 Aqua Kitchen and Bath Design Center located near Pompton Lakes NJ is the perfect place to find the best brands of kitchen cabinets at affordable prices. We provide specials on regular basis and invite you to check out our Monthly Specials. Why pay more if you can find everything you need for your kitchen remodel on sale in NJ? We extended our showroom to provide you with a first-class experience. Large, commodious, and bright, our showroom conveniently located near Pompton Lakes NJ has the best selection of kitchen cabinets, granite, and quartz countertops. With friendly and professional designer advice and 12 months no interest financing on kitchen cabinets, we provide superior shopping experience. 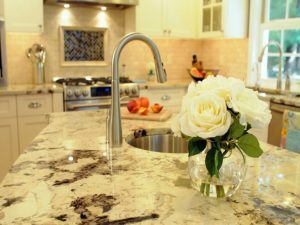 Whether you need unique granite or modern quartz, we will work closely with you to help you select the right products to suit your needs. Contact us today to see what we can do for you. Head southeast on Lakeside Ave toward Babcock Pl and turn right onto Ramapo Ave. Follow Hamburg Turnpike, Black Oak Ridge Rd and US-202 S to Wayne. Take the Newark Pompton Turnpike exit from US-202 S.
Turn left onto Hamburg Turnpike, slight right onto Black Oak Ridge Rd, and turn right onto US-202 S.
Use any lane to turn left to stay on US-202 S.
Take the Newark Pompton Turnpike exit toward Pequannock. Turn left onto the ramp. Turn right and our showroom will be on the left. 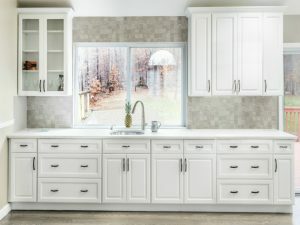 Fabuwood Hallmark Frost kitchen cabinets are perfect for everyone in Pompton Lakes NJ who are in love with the classic and timeless appeal of white color. Stark white cabinets will make your kitchen space shine with the new, fresh light and give it a unique character. Wolf Saginaw Chestnut kitchen cabinets come at low, discount, factory direct, wholesale price – $1999 for 10×10 kitchen. 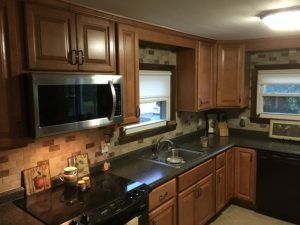 This is a great opportunity to take care of your kitchen remodel project in Pompton Lakes NJ if you like a deep chestnut color and subtle elegance. 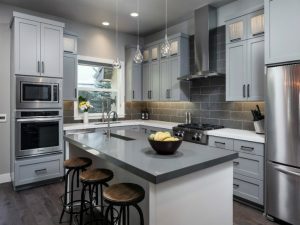 Caesarstone Concrete Quartz is a contemporary and highly modern option for everyone who is looking to remodel their kitchen or bathroom in Pompton Lakes NJ. A true imitation of concrete, this stone is matte, straightforward and highly stylish. Ivory Fantasy Granite reminds of a real, delicious vanilla bean ice cream. It features vanilla and eggshell hues and accents throughout the stone. This is a variety of an Indian granite, perfect for creating extraordinary residential and commercial designs in Pompton Lakes NJ. Whether you are remodeling a commercial or a residential space, we can equip it with superb granite countertops and install them. Take a look at the project we did with Delicatus White Granite Installation in Pomona, NY. The stone was hand-picked by the customer at our slab yard. Gray granite is beautiful and modern looking, perfect for sleek and minimalist kitchen decor. Take a look at the Steel Gray Granite Installation in Woodridge NJ. This mid-tone granite is not too light and not too dark but still perfect for creating bold contrasts in your Pompton Lake NJ kitchen. If you live in Pompton Lakes NJ, we are happy to offer you unique granite slabs that can make your kitchen truly one-of-a-kind. 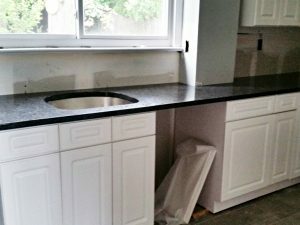 Take a look at the project we did in the neighborhood – Uba Tuba Granite Countertop Installation in Kinnelon, NJ and contact us today to start the remodeling process with us. 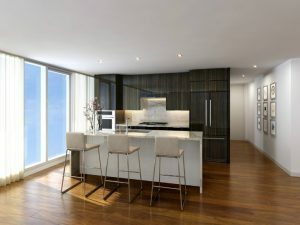 Avora Living Port Imperial Installation in Weehawken, NJ is the project where we equipped and installed 175 kitchens with luxurious Caesarstone quartz countertops. Feel free to contact us for offices and other commercial spaces remodel. We have the expertise and the capacity to do it perfectly. Pompton Lakes NJ is a borough in Passaic County, NJ, named for the Pompton people – Native Americans, who once lived in the area. This is a great place to live, located only 20 miles northwest of Midtown Manhattan. If you are on a higher ground in and around Pompton Lakes, you can clearly see the New York skyline. Ramapo, Wanaque, and Pequannock are the three rivers running through the Pompton Lakes NJ and provide enough energy for various industries. When in the borough, don’t forget to visit Joe Louis Memorial Park, Second Empire Building, Queen Anne Style Home, Ironworker’s Cottage, The Outlook, and Emanuel Einstein Memorial Library. Learn more about the borough of Pompton Lakes NJ on the official site Borough of Pompton Lakes NJ and on its Wikipedia page. Pompton Lakes NJ is a beautiful place only 30 minutes away from Manhattan. The three lakes give energy but also provide great beauty to the area. Major roads – Interstate 287 and Paterson-Hamburg Turnpike make Pompton Lakes borough well-connected to the nearby areas. Take a look at Pompton Lakes NJ during a glistening winter day. 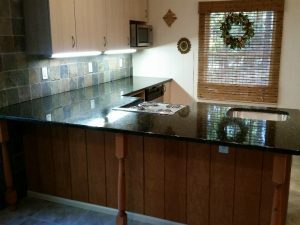 Kitchen Cabinets and Kitchen Countertops near Pompton Lakes, NJ. We price match and beat any written kitchen cabinets estimate.